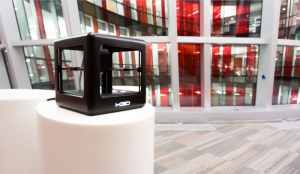 It took just 11 minutes for a team of young, innovative engineers from Bethesda, Maryland, to reach their Kickstarter goal of $50,000 and secure the necessary funding to build an exciting, ultra-compact 3D printer that goes by the name of Micro. According to the project overview on Kickstarter, this first truly consumer 3D printer manufactured by M3D team should be incredibly intuitive, easy to own and seamless by design. The Micro, a cube-shaped, lightweight 3D printer, is the most affordable 3D printer which is perfect for beginners and experts alike. Sold for just $299, it gives users the power of creation and a fantastic opportunity to bring their ideas to life, turn them into businesses, personalize their products, make toys and jewellery and unleash their creative forces. The micro was built with reliability, consistency, and accessibility in mind. It features Micro Motion Technology, which is a sensor and feedback system built into the print head, providing auto-levelling and auto-calibration. This means that every time users run the printer it works, even after thousands of hours of use. For material and filament options, customers can use LA or ABS, as well as M3D’s Micro filament spools or standard 1.75 mm filament spools available on the market. The Micro features fun and futuristic M3D touchscreen-capable software with a minimalist and simple-to-use interface. It allows users to search and browse countless objects online, and organize their 3D downloaded models into an easy to view library. Advanced users can use the expert settings as well as other software such as open-source slicers. The Micro is the most space-efficient 3D printed ever made, whose light-weight, portable design fits nicely on every desk. It is the lowest power consumption 3D printing system to date, which features a number of innovative technical specifications including USB-compatible connection, removable Print Bed, M3D software for an effortless, plug-and-play experience, 15 micron X and Y positioning accuracy, and many other innovative technical solutions. It can be used with any Windows, Mac, or Linux based systems, and also supports and uses open source software (for advanced users). 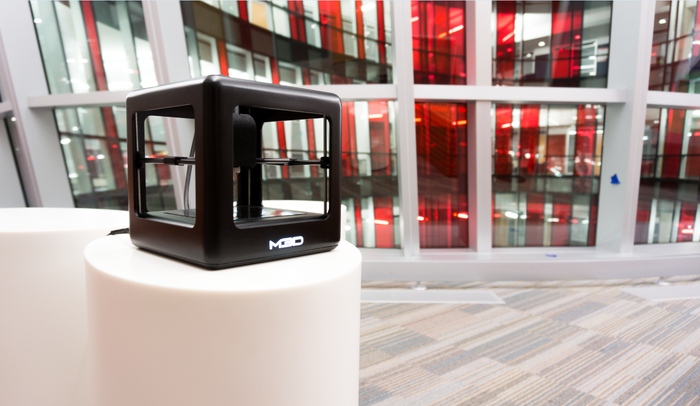 M3D founders Michael Armani and David Jones expressed their delight and gratitude to everyone that contributed to bringing their idea to life. “Thanks to your support, together we’ve made The Micro a reality in only 11 minutes! We are so humbled, thrilled, and honoured to be able to connect with so many supporters through this modern medium. As backers you are not only pre-ordering a 3D printer, you’re important allies and a crucial part of our community. By helping us create a new category of consumer product, a full user experience, and an innovative new brand with us, your feedback means that we can bring 3D printing to everyone,” said the M3D team on their Kickstarter project page.